Berlin TXL is a unique project in Europe – if not worldwide. It will create a wonderful opportunity for the German capital city to play a leading role in the international market for urban technologies of the future – a market that is expected to double over the next decade to an annual volume of EUR 5,400 billion. In 40 years’ time, according to the latest UNESCO predictions, some 70 percent of the world’s population will be living on only three percent of the earth’s surface. Gigantic urban agglomerations will place completely new demands on housing, infrastructure, communications, and transport and will require the development and implementation of new technologies. The technologies developed and tested in the Urban Tech Republic will therefore focus on those fields that the major cities of the 21st century will rely on: the efficient use of energy, sustainable building, environmentally sound mobility, recycling, the networked control of systems, clean water, and the use of new materials. Germany is already playing a leading role in these developments. The Urban Tech Republic offers the opportunity to demonstrate everything that the cities of tomorrow will need, and all this only 15 minutes from the seat of government of the most important industrial nation in Europe. The public discussion about the future of the airport area in Tegel began in 2008. In the period 2009 to 2012, six international teams of architects, urban planners, and landscape architects developed ideas that were then discussed with experts, representatives of the city administration, and interested members of the public. In 2013, Land Berlin confirmed the binding master plan. In eight location conferences to date, participants have been able to learn about the latest progress made with the planning and to contribute to the ongoing discussion. On 9 June 2011, the Berlin House of Representatives approved the objectives of the land development plan and the landscaping programme. 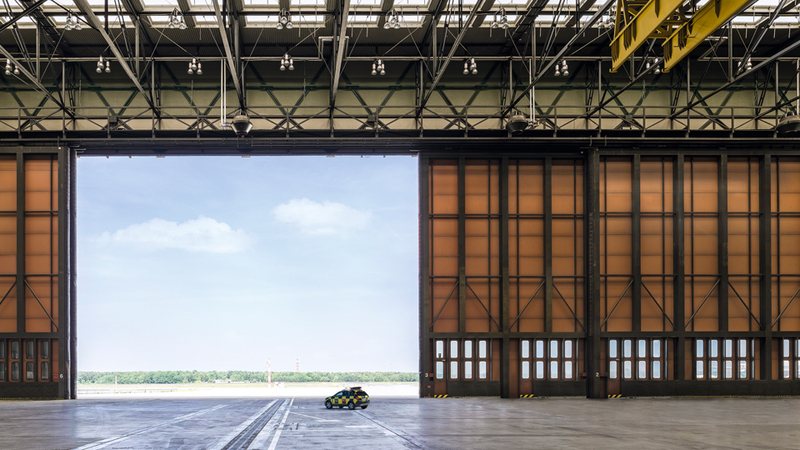 Land Berlin has entrusted the Tegel Projekt GmbH with the development and management of Berlin TXL – The Urban Tech Republic and the Schumacher Quarter. The state-owned company, which currently employs 32 staff (December 2017), is working on the further development of the master plan, the brand development, planning for the building construction, the technical and transport infrastructure and energy services, as well as operative preparations and the public promotion of the project. The Tegel Projekt GmbH has carried out intensive discussion with some 100 potential investors, including large international companies. In the course of these discussions it has become apparent that in particular the larger interested companies view a possible location in Berlin TXL as a promising long-term strategic objective. Only three pilot projects in Germany have been pre-certified in accordance with the “New construction in a commercial quarter” profile of the German Sustainable Building Council (DGNB). Berlin TXL – The Urban Tech Republic is the first commercial quarter worldwide to receive the Platinum Award. The DGNB promotes sustainable building and recognises buildings that are particularly environmentally friendly and energy efficient, that conserve resources, and at the same time meet the needs of the users. Urban quarters are evaluated on the basis of the infrastructure and more general considerations – for example the strategies relating to energy, water and waste management. The area of the former Tegel Airport offers space for a further project – the Schumacher Quarter. This will provide up to 5,000 new apartments for the expanding capital city. This new urban quarter will not only fill a gap at Kurt-Schumacher-Platz where building has not previously been possible because of flight operations, but will also provide an excellent addition to the research and industrial park. Intelligent planning, active energy generation, and a modern mobility strategy will show the way towards a forward-looking, sustainable combination of living and working. The Schumacher Quarter will be an Urban Lab – the Experimental Space in Berlin for new urban technologies: climate-adapted, water sensitive, and responsible in the use of resources, energy, and waste. The Quarter is to receive DGNB certification as a model project as a “Climate-neutral urban quarter”, and is also a reference project for “Climate-adapted and water-sensitive urban development”. In the neighbouring quarters Cité Pasteur and TXL Nord further 4,000 dwellings are planned.